After being away for 11 days, the garden has grown! Tomatoes are as high as the cages...and little vegetables are appearing. 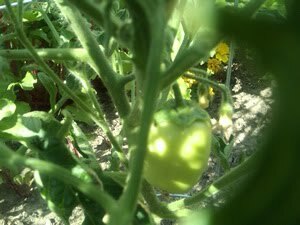 Here is one small tomato----I am looking forward to tomato, basil, and mozzarella cheese in August! 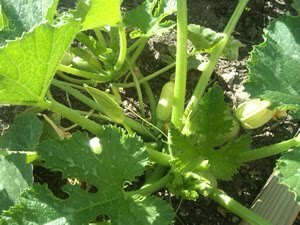 Zucchini are beginning to grow---this is a yellow variety (I think). 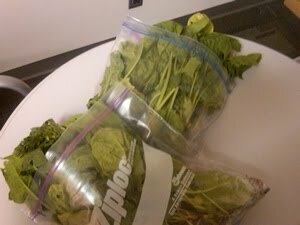 This is the rest of the spinach harvest. 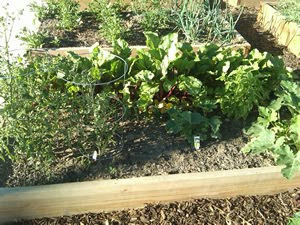 The beets have room to grow.